UNESCO World Heritage Site since 1996, the town of Pienza, in the province of Siena, was the birthplace of Aeneas Silvius Piccolomini, a Renaissance humanist who in 1458 became Pope Pius II. Once he became Pope, Piccolomini had the entire village rebuilt as an ideal Renaissance town, representing the first application of humanist urban planning concepts. Rebuilt by Florentine architect Bernardo Gambarelli, aka as Bernardo Rossellino, probably under the supervision of the great Humanist Leon Battista Alberti, the construction started about 1459. Only three years later Pope Pius II consecrated the Cathedral. The hub of the town is Piazza Pio II. 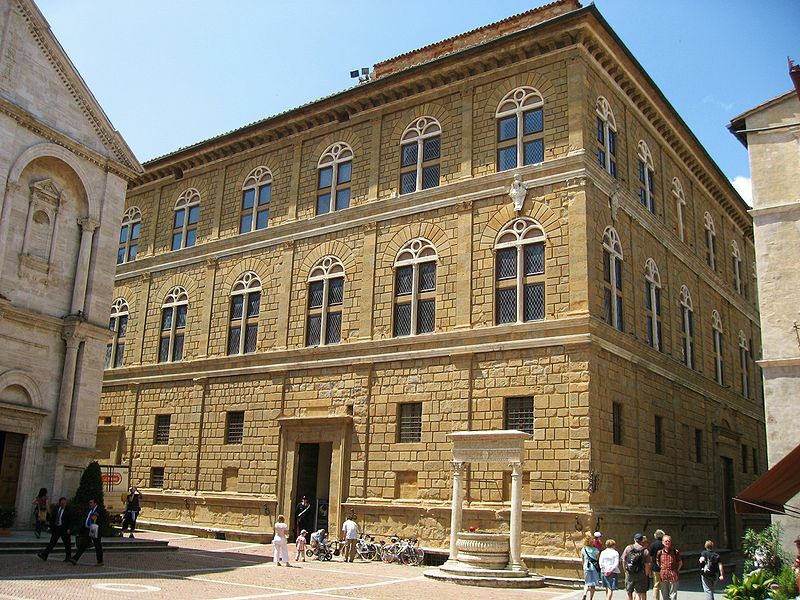 It contains all the main buildings of Pienza: the Cathedral and its octagonal bell tower, the Bishop’s Palace, today home to the Diocesan museum, the imposing Palazzo Piccolomini with its beautiful loggia, the town hall and Palazzo Ammannati. On one side stands a 15th-century well with two columns and capitals. 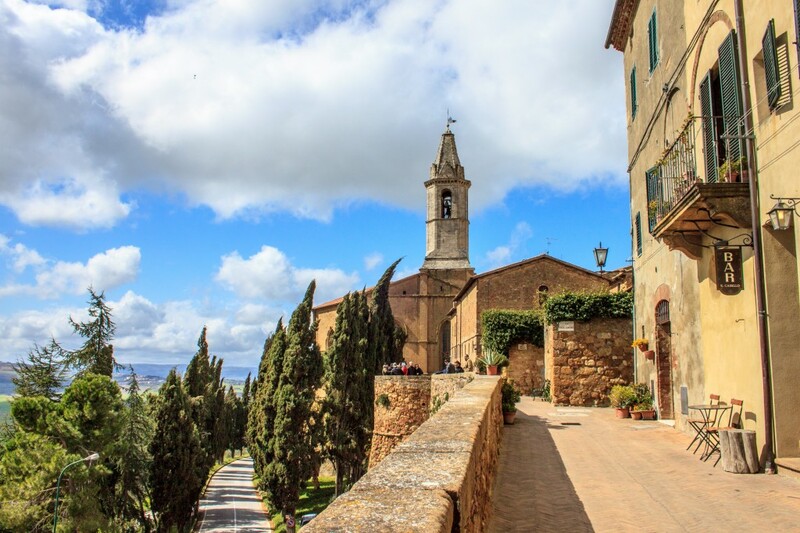 After visiting the centre of town, a walk to the external walls will treat you to some of the most striking panoramic views of the Tuscan countryside. Nearby is also Via dell’Amore, the Love Street, a favourite destination for lovers, and suitably located after Via della Fortuna, Luck Lane. 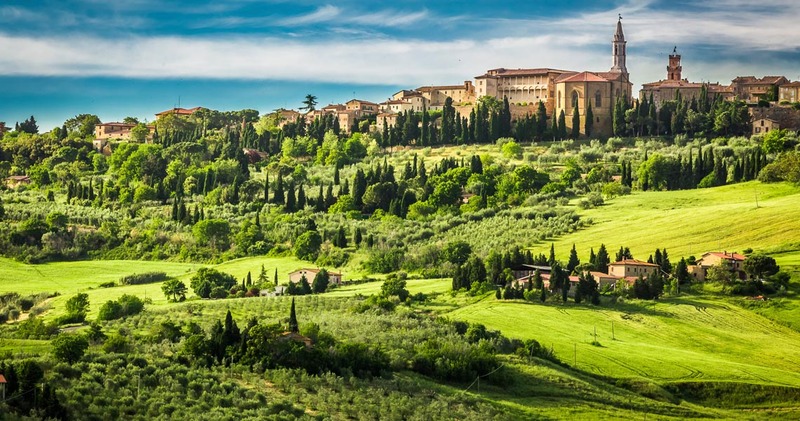 A visit to this part of the Valdorcia is certainly worth the trip. It offers picturesque villages, Montalcino and its wineries, ancient spa towns and much, much more. The valley itself, with its gorgeous rolling hills, became a UNESCO World Heritage Site in 2004 thanks to its unique landscape. Planning to spend a holiday in the area? 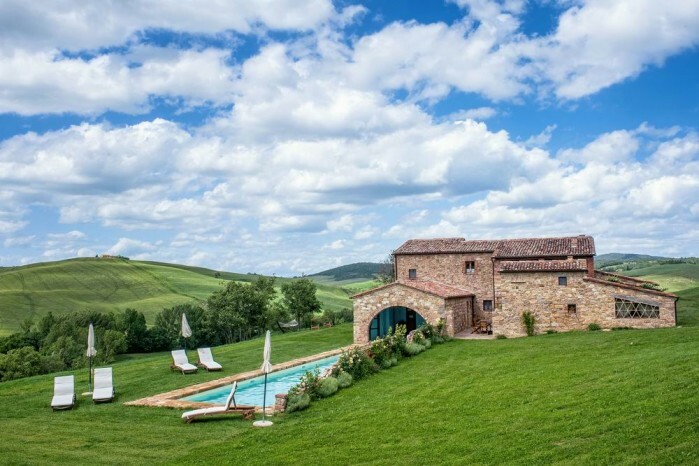 Take a look at this incredibly beautiful accommodation just outside Pienza. More awaits on our website. 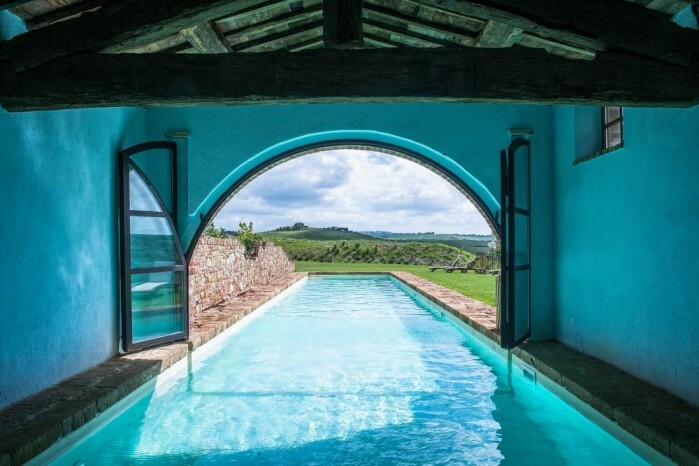 Questa voce è stata pubblicata in Accommodations in Tuscany, Accommodations in Valdorcia, Pienza, Tuscan lifestyle, Tuscany, Valdorcia Val d'Orcia e contrassegnata con Bernardo Rossellino, Leon Battista Alberti, Piccolomini, Pienza, Renaissance, Valdorcia. Contrassegna il permalink.